Hi everyone, Steph Ackerman here today. It's almost winter and it's time to start getting ready for the holidays. I find there is nothing more enjoyable than creating holiday decorations and gifts. I've used glass jars to create snowmen. Just fill them with assorted candies or small toys and give them as gifts or simply display them with the rest of your decorations. 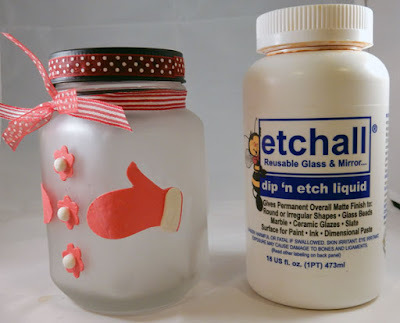 Begin by first etching the jars with Etchall's dip 'n etch. This gives the jars a nice etched appearance. Following the manufacturer's instructions, allow the jars to sit in the dip 'n etch for 15 minutes. Since dip 'n etch is reusable, simply pour the liquid back in the jar after the etching process. Mix Makin's Clay red and white clay together to get a softer shade of red. Roll out the clay using a clay machine until you get the desired thickness. Next, use the smallest Makin's Clay Flower Clay Cutter to cut 6 flowers. 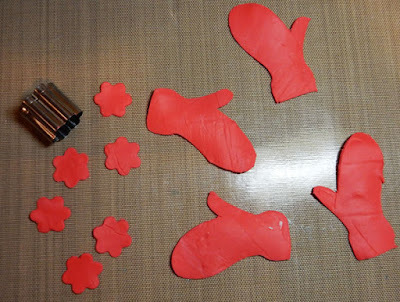 Using an xacto knife, carefully cut out 2 pairs of mittens and give them a little texture using a Makin's Clay Texture Sheet. 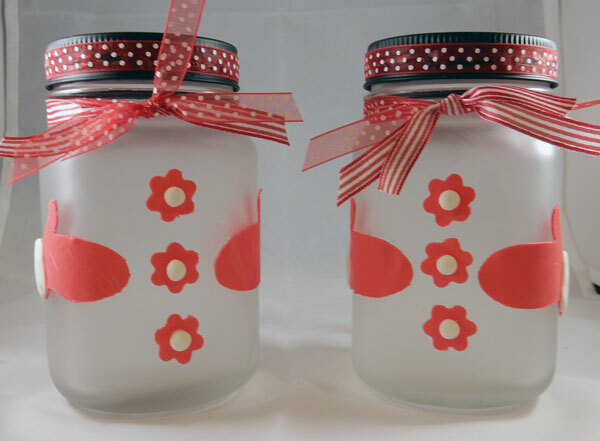 Using liquid adhesive, adhere all the elements to the jars. Allow them to set, then add a layer of white clay on the mittens forming cuffs - no adhesive is necessary as wet clay will adhere to clay. Roll out little balls of white clay to add to the center of the flowers. 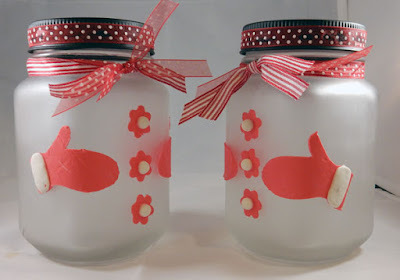 To finish tie ribbons around the glass jar and the jar top. Aren't they adorable? Such a cute and "Frosty" snowmen.